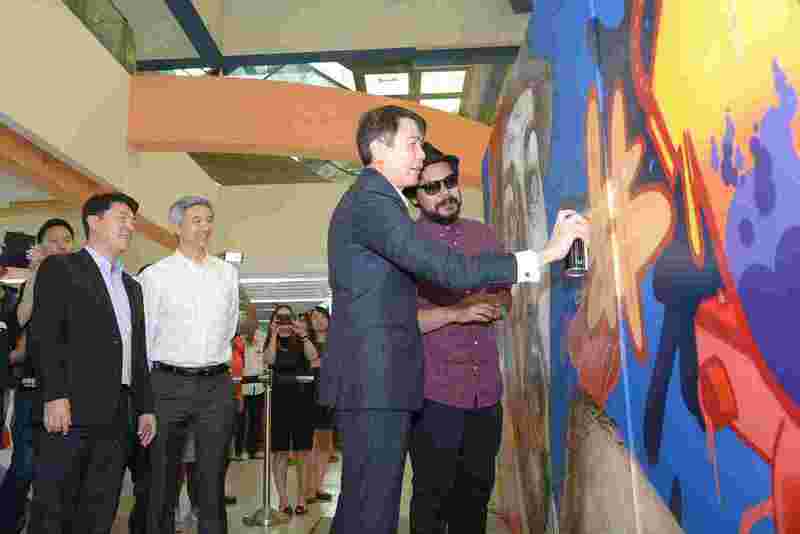 The new Funan mall will sport cutting- edge features such as open studios where classes can be held for the public. It will take three years before the new Funan mall is completed, so architecture firm Woods Bagot has designed features that will make version 2.0 "future-proofed". When the mall is unveiled in 2019, shoppers will not see trimmings of a regular mall or a traditional layout. 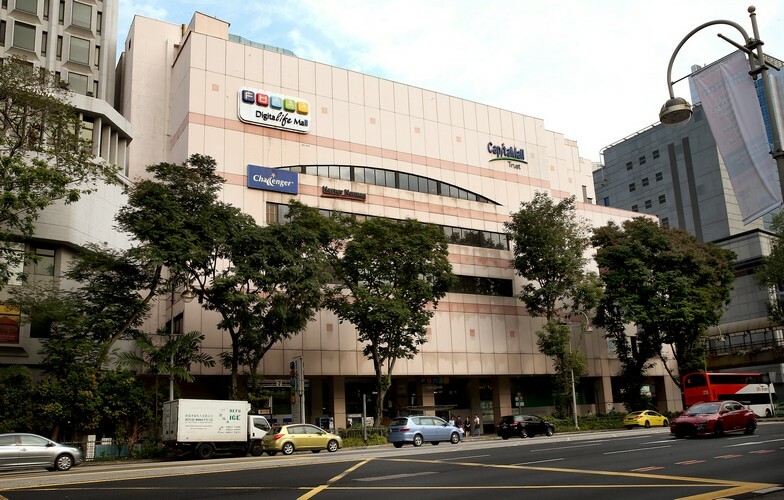 The former Funan DigitaLife Mall closed for redevelopment on June 30 after 31 years. Mr Mark Mitcheson-Low, 58, Woods Bagot's regional executive chairman, says: "Everyone in the business of doing malls will get better at building them. "It is what you do and how you do it that changes the perception of the product." Early plans for Funan, which is owned by CapitaLand Mall Trust, show a fresh, modern-looking building, with a facade clad with perforated, diagonally folded panels. The interiors will be filled with features that adapt to the future retail scene and cater to shoppers who want a tailored experience instead of being bombarded with typical offerings, says Mr Mitcheson- Low. The centrepiece of the new mall is "The Tree of Life". A wood- and-steel structure spanning the mall's six levels, it will run through the mixed-used development and house design ateliers and open studios where classes can be held for the public. There will also be "passion clusters" organised around themes such as technology, fitness and food, where new-to-market or up-and-coming retailers can showcase their designs and products. Level 4 will house a "Makers and Hackers" space for hobbyists and entrepreneurs to work on their creations. There are also plans to give local fashion and lifestyle designs more room in the retail space. 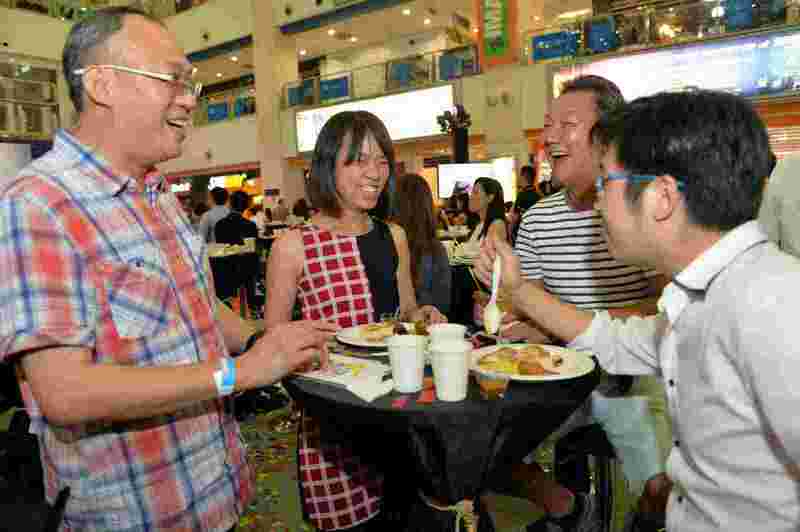 CapitaLand senior management host a Thank You Party for some 400 invited guests comprising tenants, loyal shoppers and mall staff at Funan’s Main Atrium, to celebrate the mall’s milestones in the last three decades as it prepares to start a new chapter to redevelop itself into an experiential hub of the future. 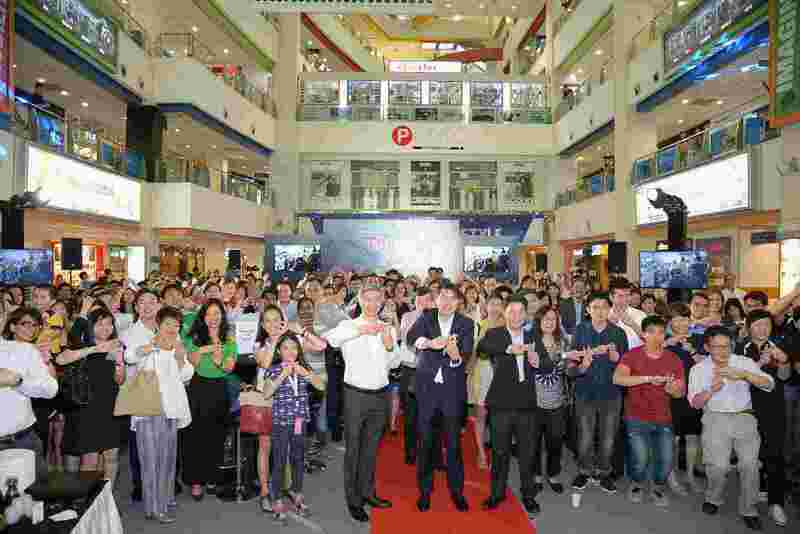 All showing hashtag sign as CapitaLand senior management host a Thank You Party for some 400 invited guests comprising tenants, loyal shoppers and mall staff at Funan’s Main Atrium, to celebrate the mall’s milestones in the last three decades as it prepares to start a new chapter to redevelop itself into an experiential hub of the future. Cristofori Music school staffers have their own in house farewell party at level 4 of Funan Digitalife mall . Ms Celine Chong , 35 danced centre stage with her colleagues playing the cajons. 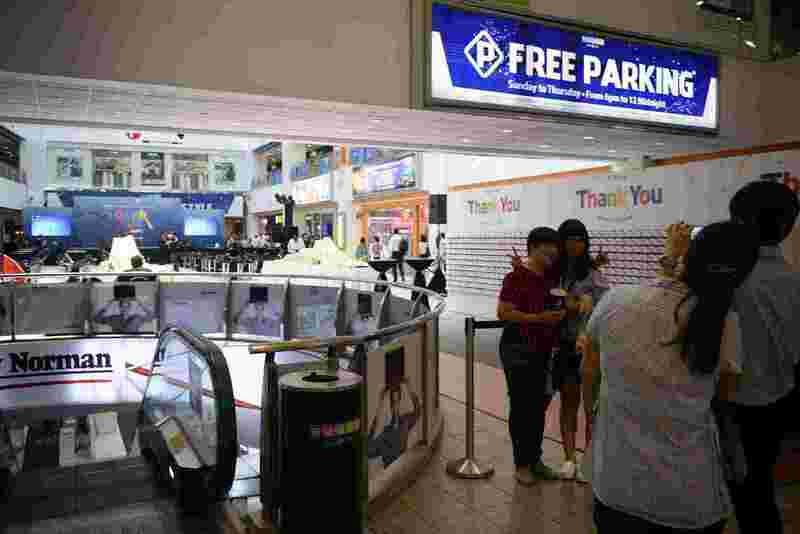 Visitors at level 2 of Funan Digitalife mall snapped for memories on the last day of closure. Ms Jess Huang and her contractor were busy at work minutes before the official closure of Future Pro on Thursday evening. 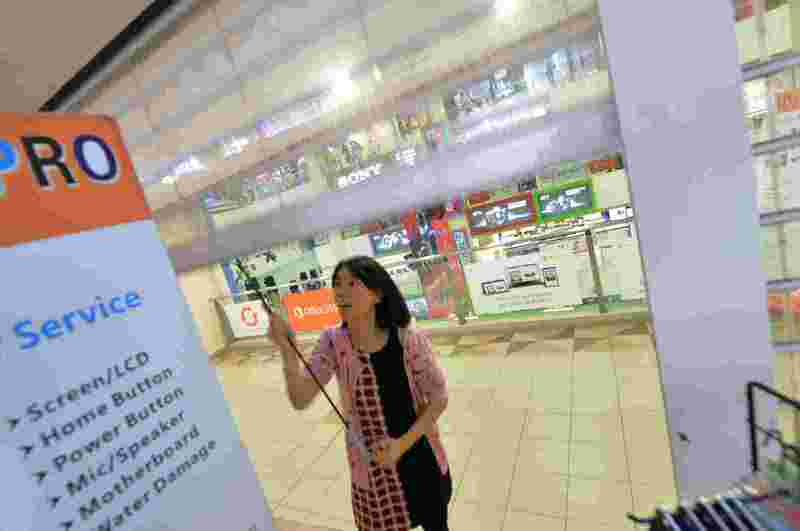 Ms Jess Huang closes down the shutters of her store for the last time on 31 June 2016. 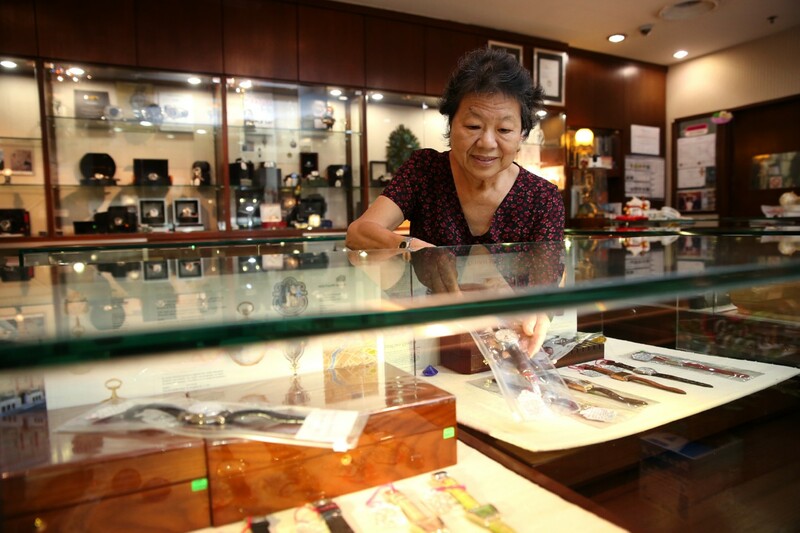 Miss Huang started her electronics repair and accesory business from scratch 3 years ago. Ms Jess Huang and brother Mr Jack Huang, enjoying dinner with friends and fellow Funan tenants, Andy, 50 (left) and Tom, 60. 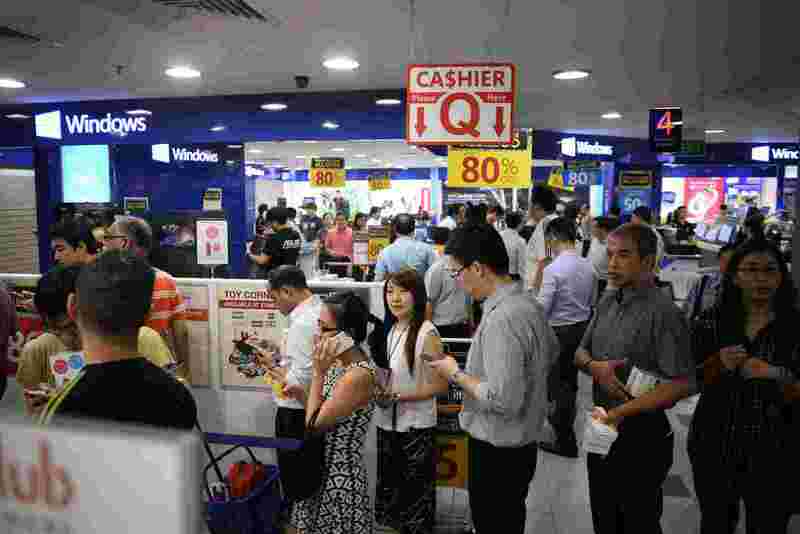 Customers queue up to pay for their purchases at Challenger at Funan DigitaLife Mall on 30 June, 2016. Colleagues Angelia Khoo (left), 57, and Xue Hui, 23, take a picture at the atrium of Funan DigitaLife Mall on 30 June, 2016. 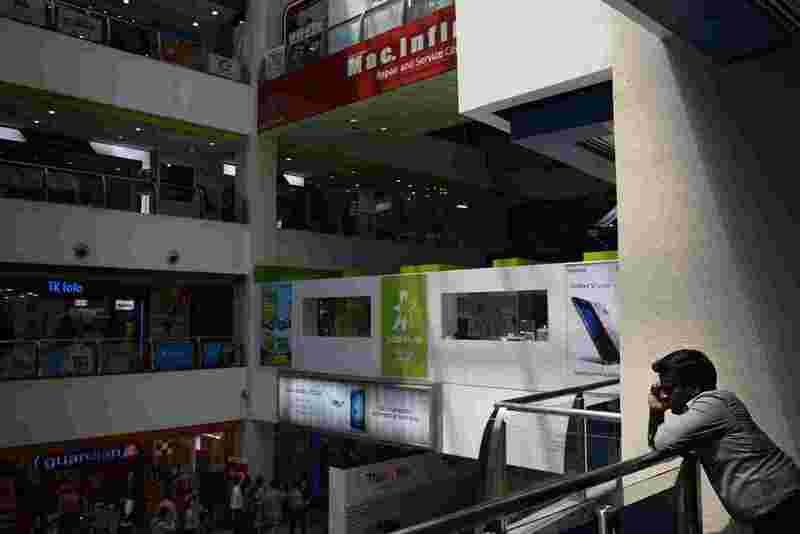 A man uses his phone along a corridor at Funan DigitaLife Mall on 30 June, 2016. 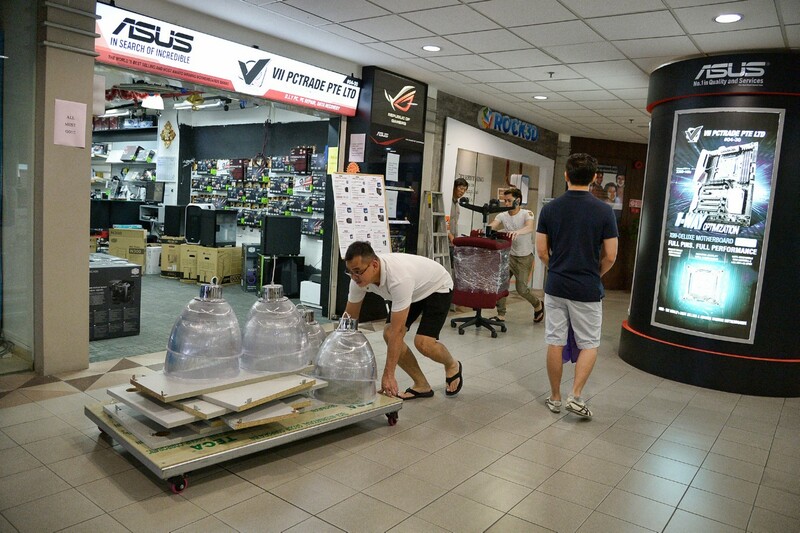 Customers patronise a shop bustling with business alongside a shop which has completely cleared out at Funan DigitaLife Mall on 30 June, 2016. 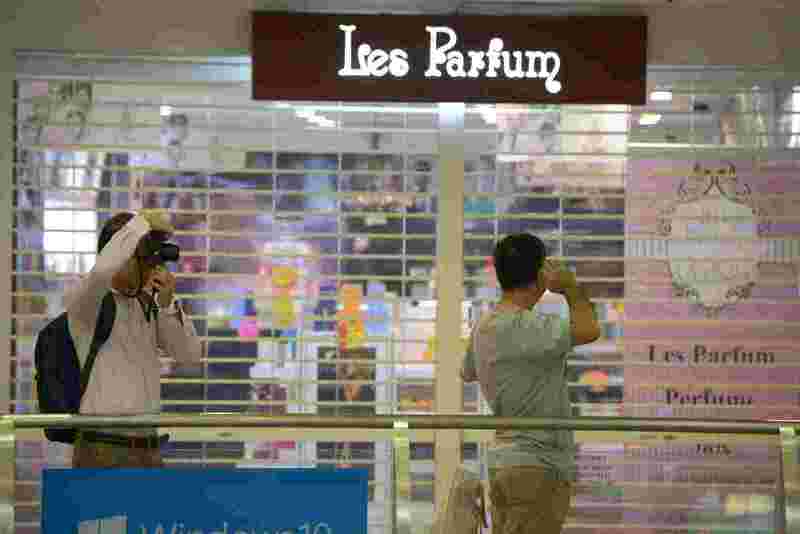 A man peers out of a corridor at Funan DigitaLife Mall on 30 June, 2016. 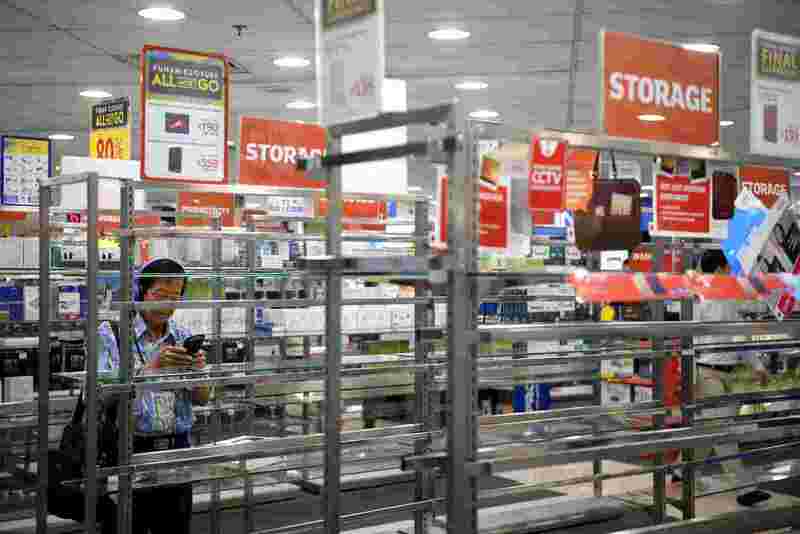 A customer uses his phone in between empty shelves at Challenger at Funan DigitaLife Mall on 30 June, 2016. 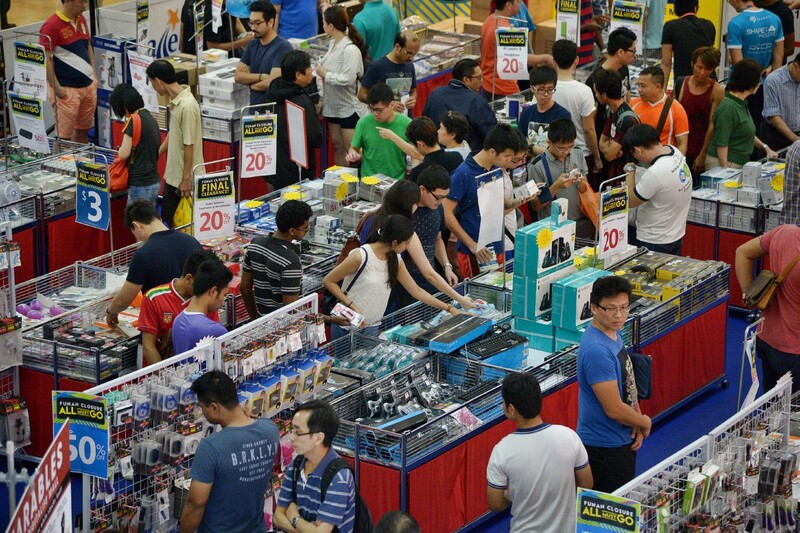 Customer's browse through bargain bins at Challenger at Funan DigitaLife Mall on 30 June, 2016. 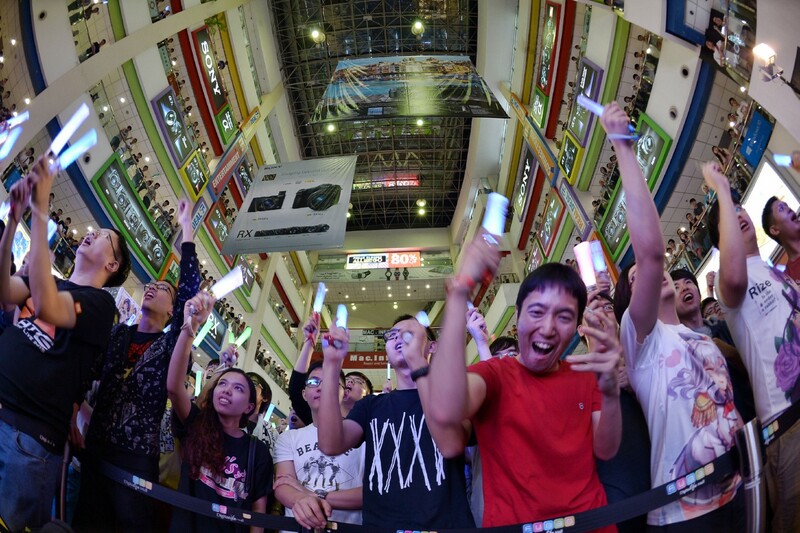 AsiaOne was at Funan DigitaLife Mall on June 30, 2016, the last day of trade before it closes for three years for redevelopment. Many shops were closed by 7pm that evening. Tables and chairs have been neatly stacked. 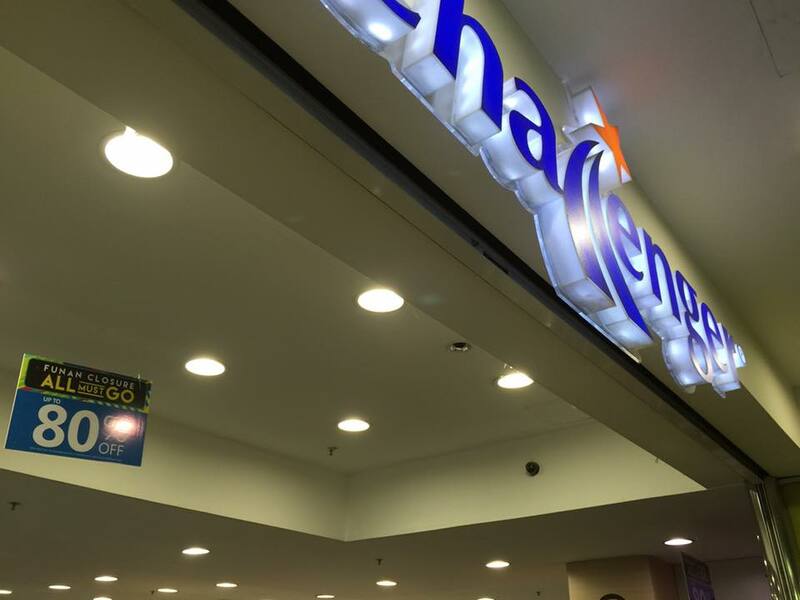 There were still many bargain hunters at Challenger, the mall's biggest tenant. One store was giving away stuff outside their shop. "Free outside! Cheap sale inside!" Madam Maimon Osman , 67 a long-time employee of Challenger who has continued to stay relevant on the job and help train new staff. 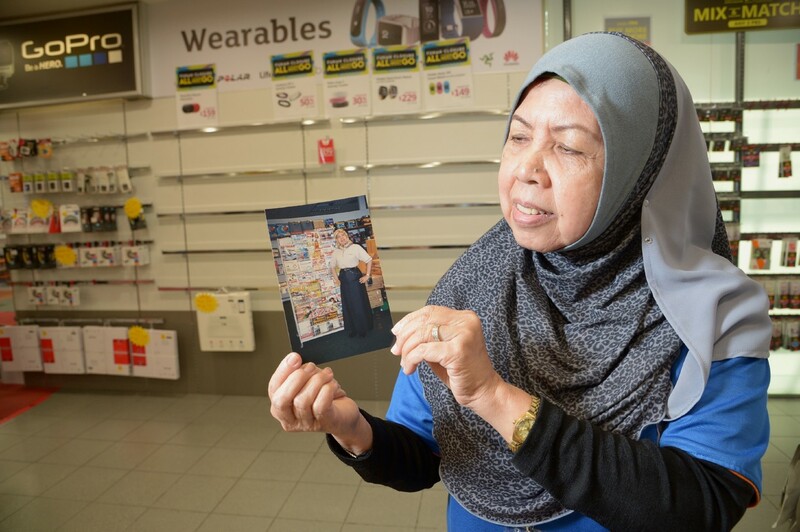 She joined Challenger 20 years ago in 1996 and is now a cashier supervisor at Funan Challenger flagship store. In the background , employees boxing up and moving out some cartons getting ready for the closure . Madam Maimon Osman showing her old staff photo dated in 2004. 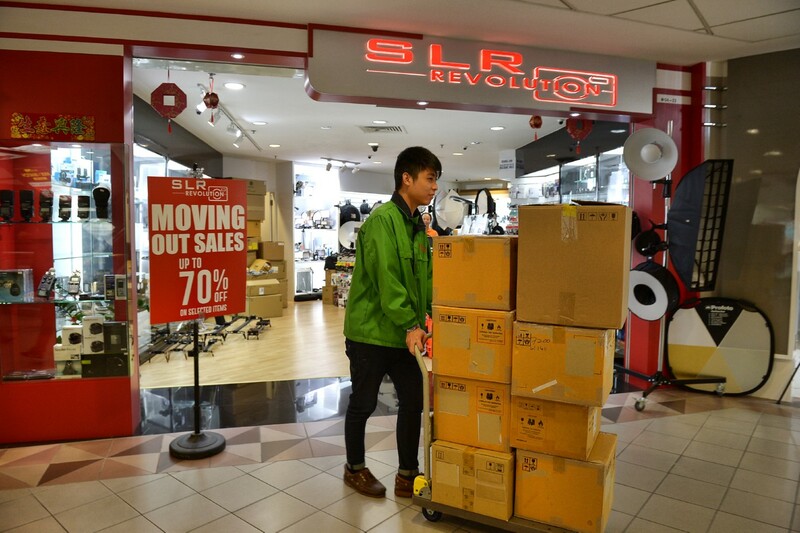 A retail staff from SLR Revolution moving boxes of photography goods to their newly renovated 1,700-square-feet shop in Excelsior Shopping Centre. 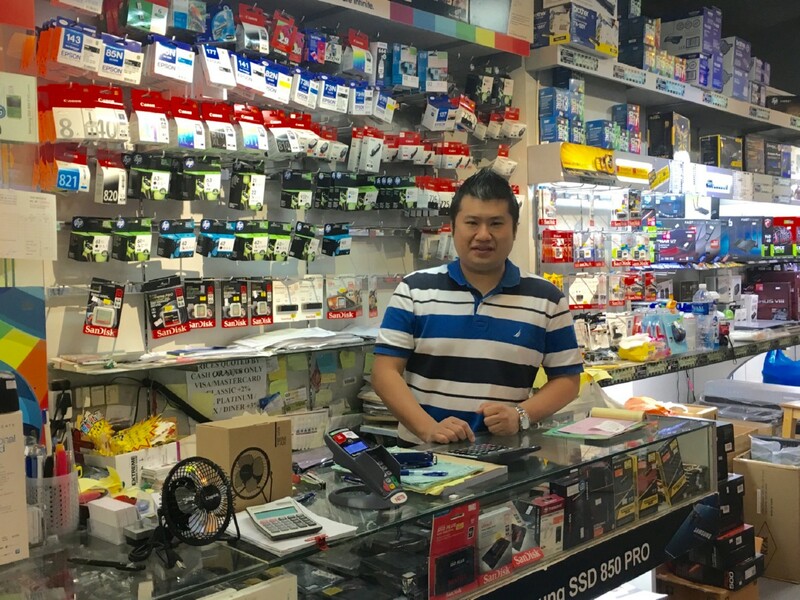 Store manager of Make Fine Computer, Mr Ways Lee, 34, spent his teenage years at Funan DigitaLife Mall helping his father at the shop. 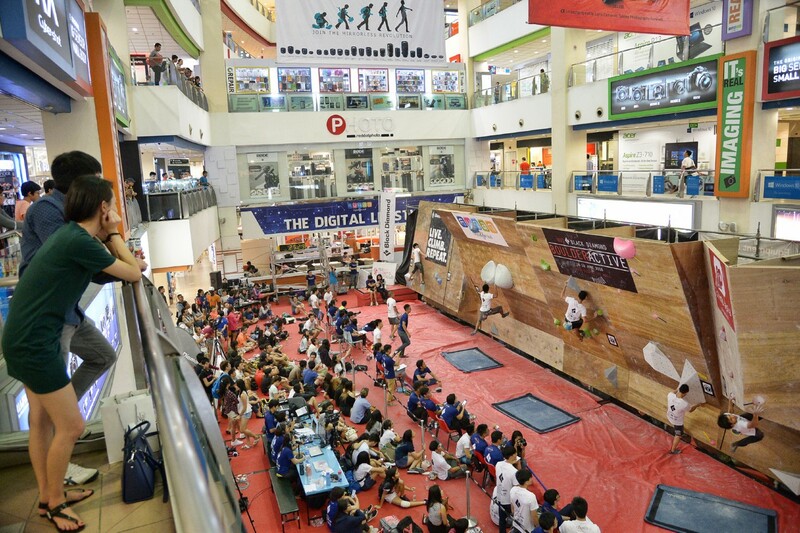 NUS-Black Diamond Boulderactive 2016 held in Funan Digitalife Mall from 16 to 19 June 2016. 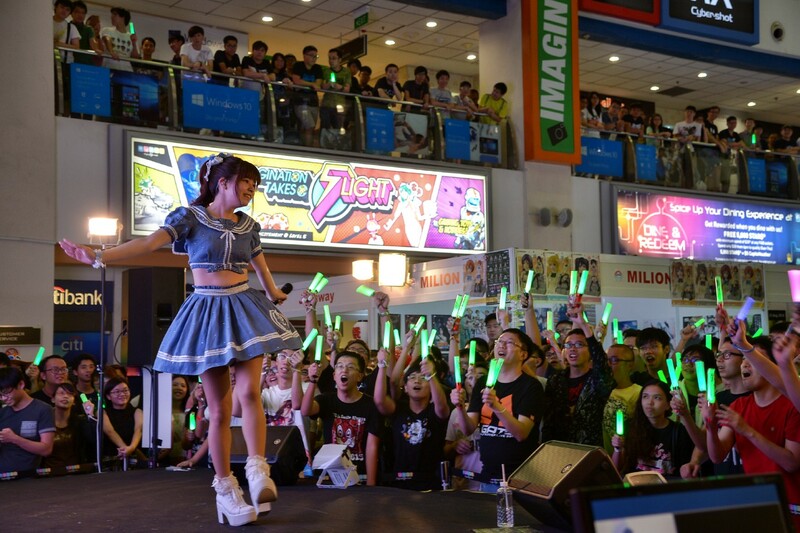 Japanese pop singer and fashion model Luna Haruna, 24 , performs in front of 1000 anisong fans at the Funan Anime Matsuri finale on June12. 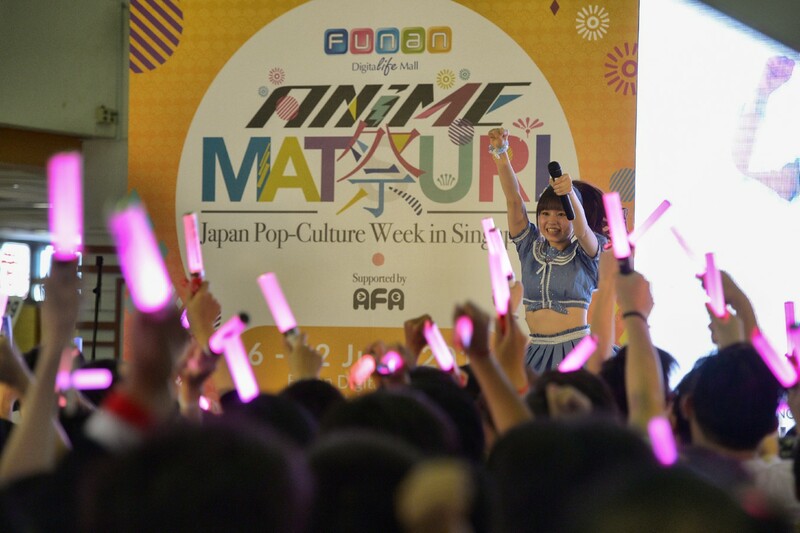 Anisong fans inside the atrium of the Funan Digitalife mall on 12 June 2016 at the Funan Anime Matsuri 2016. 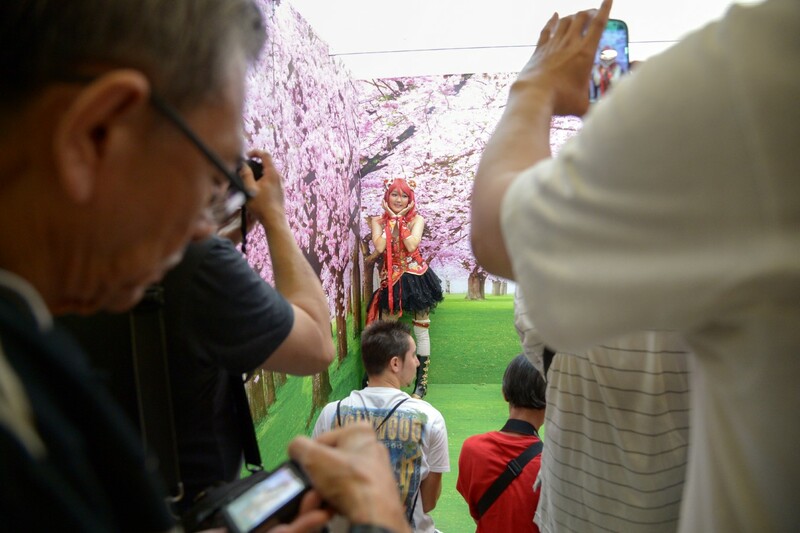 The Japan pop culture week is a iconic event for the fourth year running. 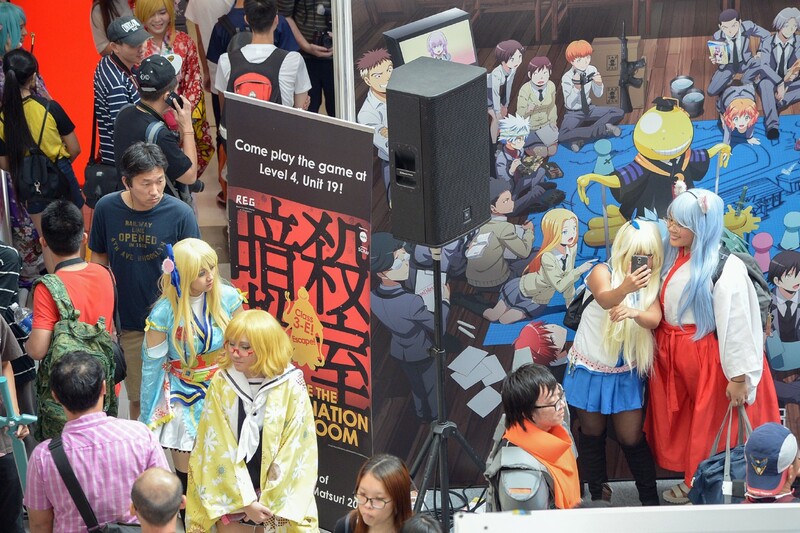 Cosplayers at the atrium of Funan Digitalife mall on 12 June 2016 at the Funan Anime Matsuri 2016. 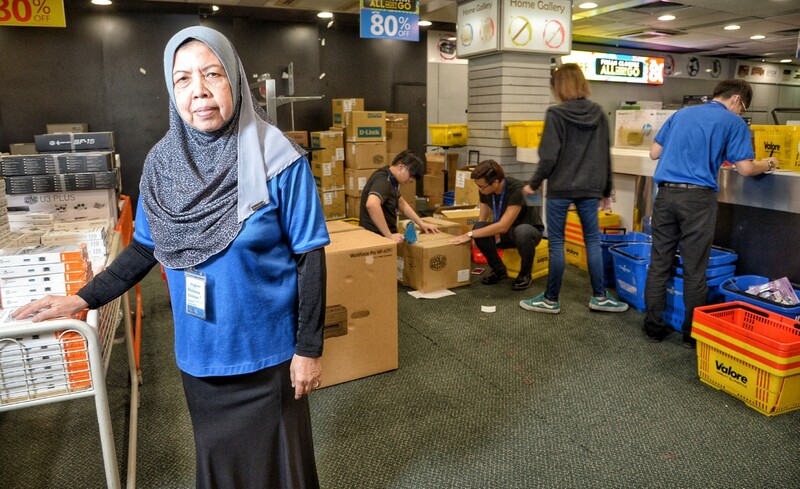 Retailers moving out office furniture and equipment on 26 June 2016. 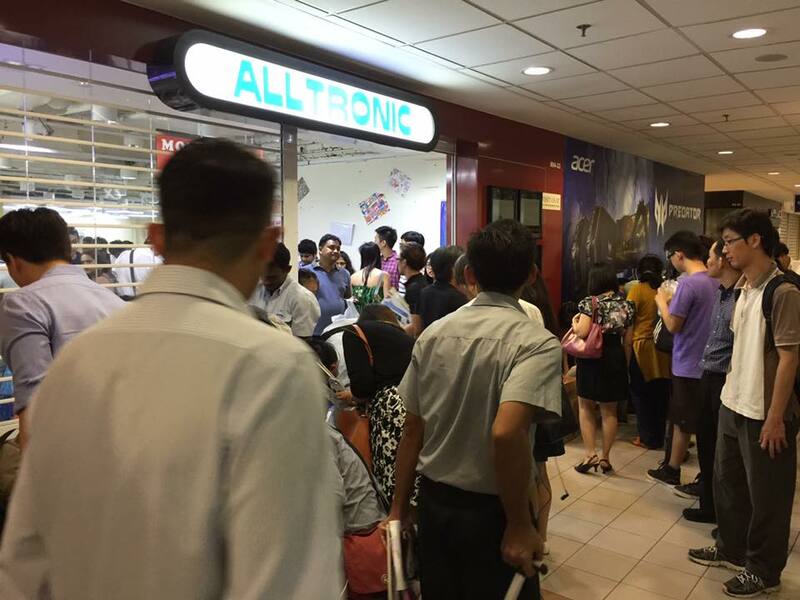 Throng of bargain hunters at the Atrium of Funan Digitalife Mall on 26 June 2016. 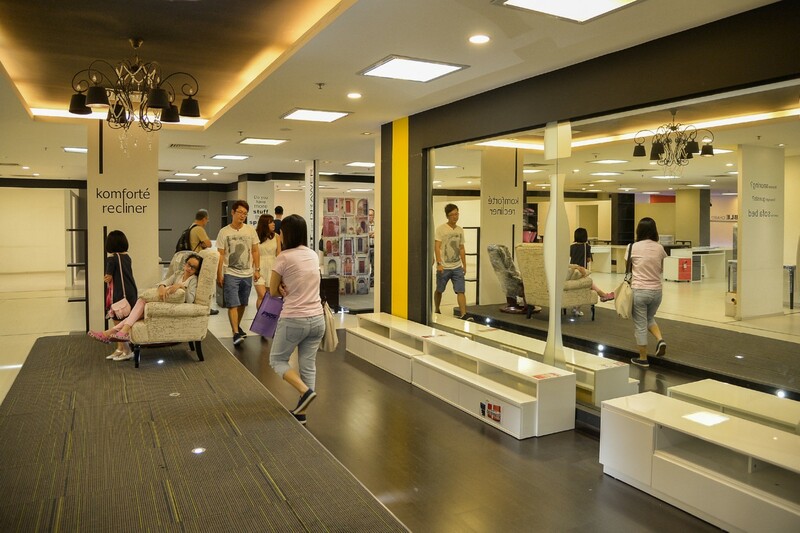 Bargain hunters in a near empty V.hive showroom on 26 June 2016 at Funan Digital Mall. 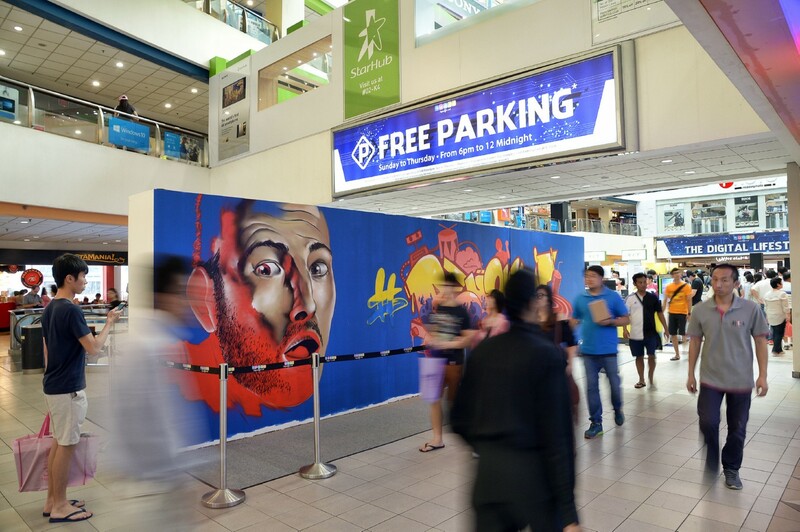 Messages penned by shoppers and tenants are placed on a 2.4m by 9m long wall. 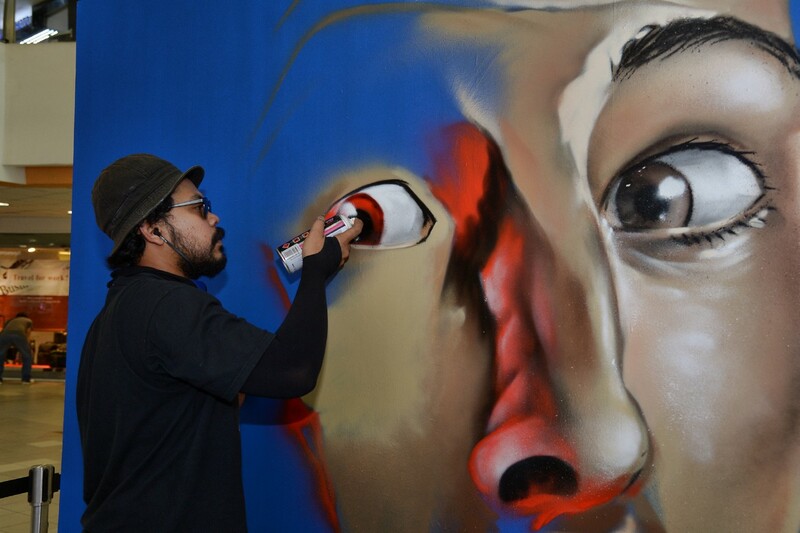 Renown graffiti artist, Ceno2 at work on a 2.4m by 9m long wall, entitled 'Play. Create . Live' at the atrium of Funan Digitalife mall on 25 June 2016. 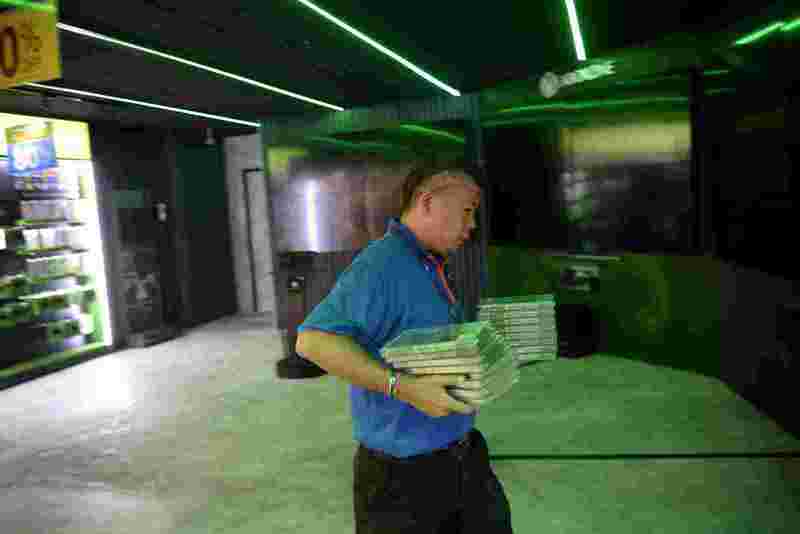 A retail staff from Guardian boxing up on the level 1 of Funan Digitalife mall on 26 June 2016. 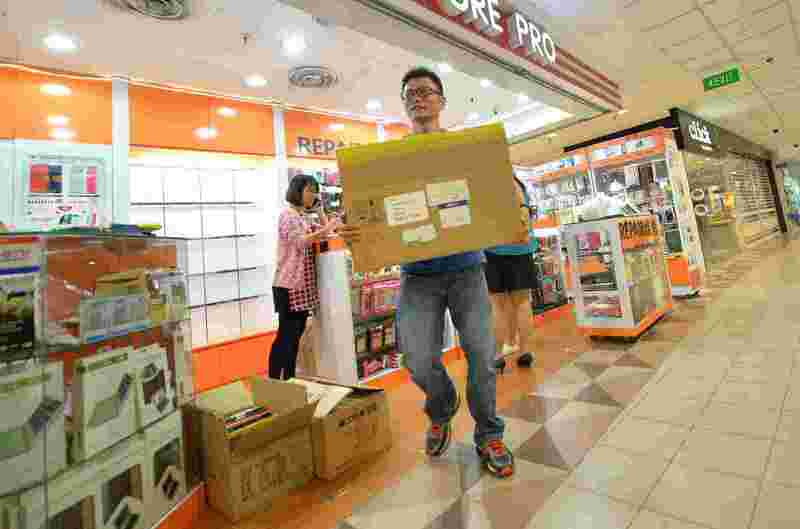 Ms Grace Tan, 46, check the left-over products at Stationary Superstore on level 2 of Funan Digitalife mall on 26 June 2016. Ms Tan has found a new retail job. 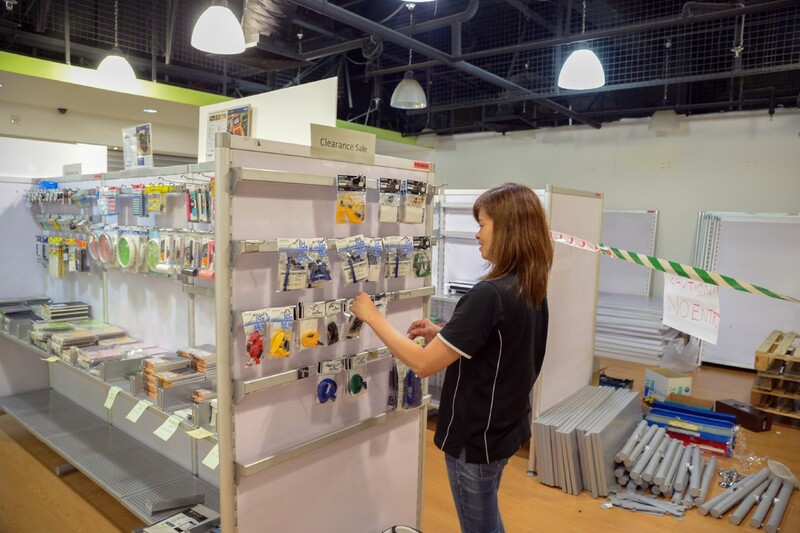 Stationary Superstore has no plans to relocate. 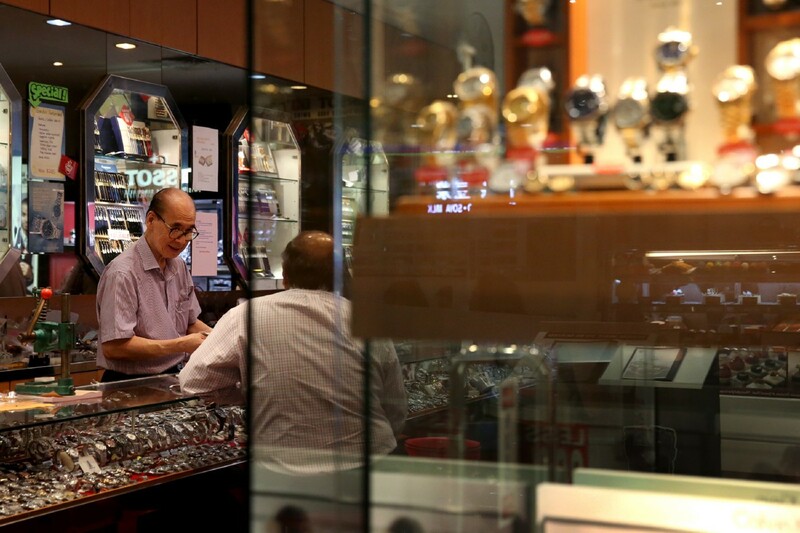 Mr David Tan, a watchmaker for 60 years, has been working at Excellent Watch, a shop at Funan DigitaLife Mall, for 30 years. 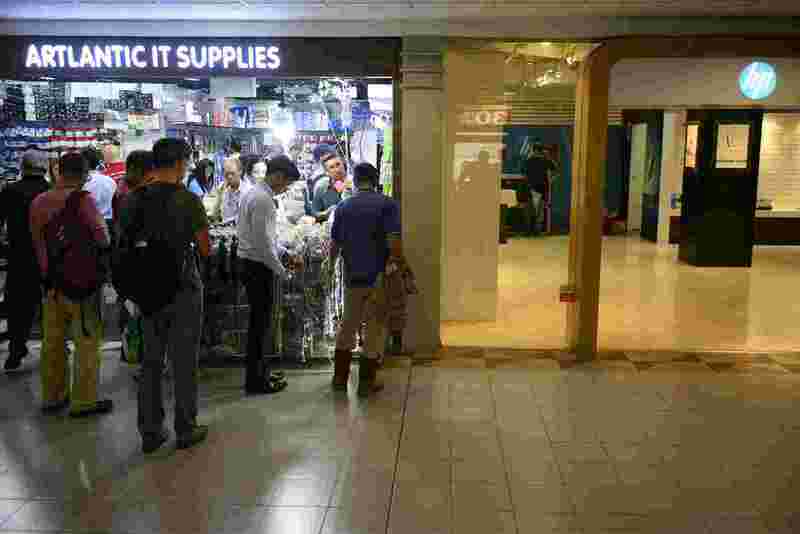 Although the shop has yet to find a new home following the closure of Funan DigitaLife Mall on 1 July 2016 for redevelopment for three years, he plans to carry on working for his employer. Mrs Moey-Chong Bee Soon, director and optometrist of B.S. 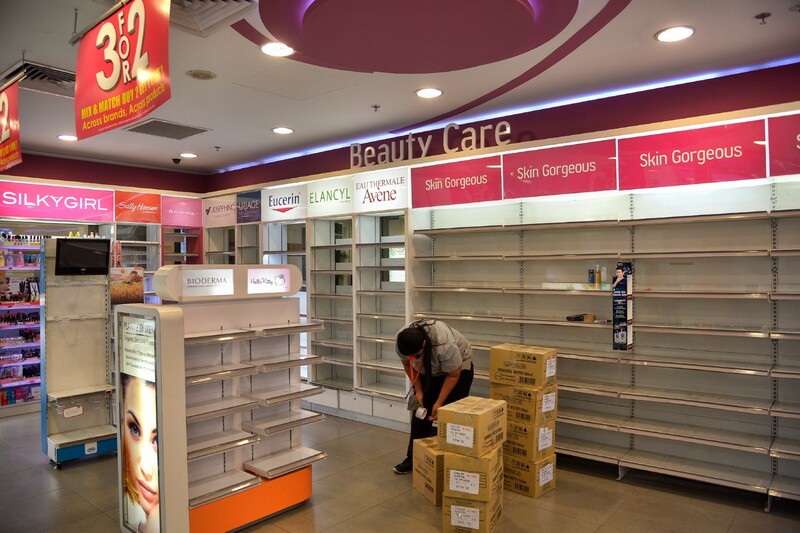 Moey-Chong Optometrist & Contact Lens Practitioner, an optical shop which has been at Funan DigitaLife Mall for 26 years. 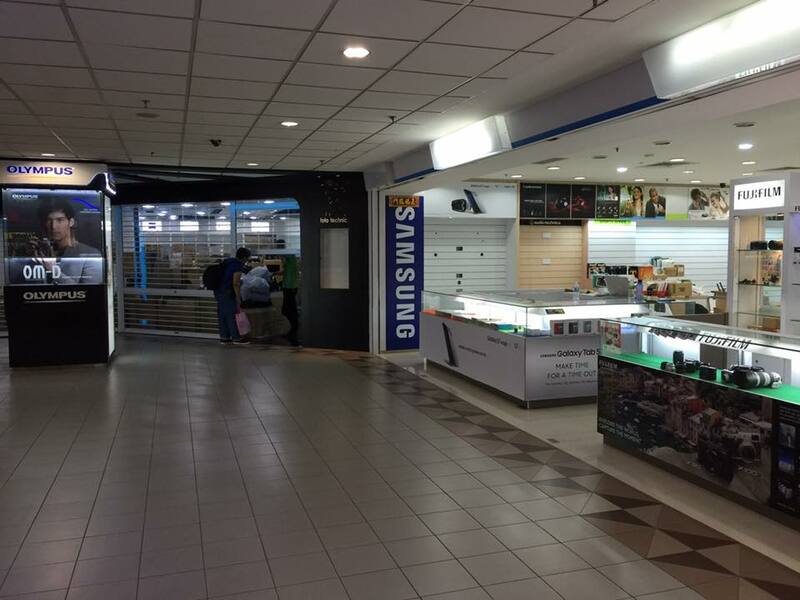 The shop will move to Plaza Singapura after Funan DigitaLife Mall's closure. 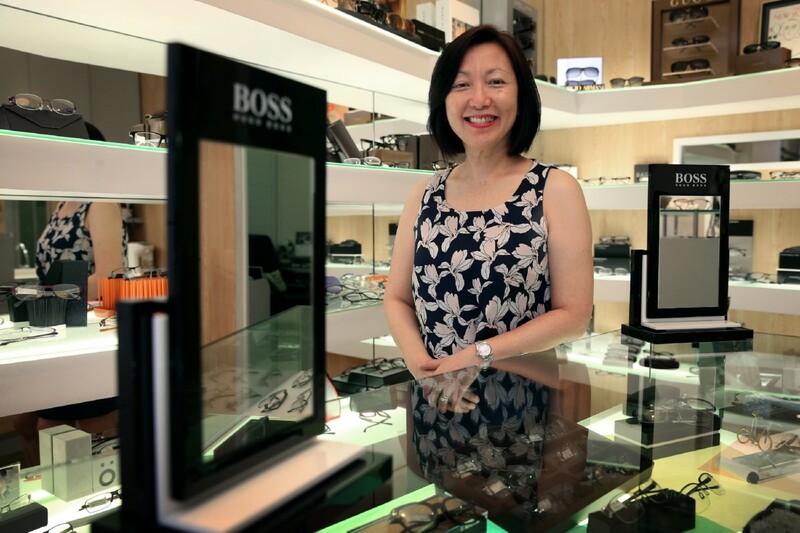 Madam Helen Tan, senior director of Passions Watch Exchange, which has been at Funan DigitaLife Mall for 25 years, painstakingly writes down the details and condition of every second-hand watch put up for sale. Passions, a pioneer in the pre-owned luxury watch industry, built a reputation for having a good collection of pre-owned watches and saw customers from all over the world. 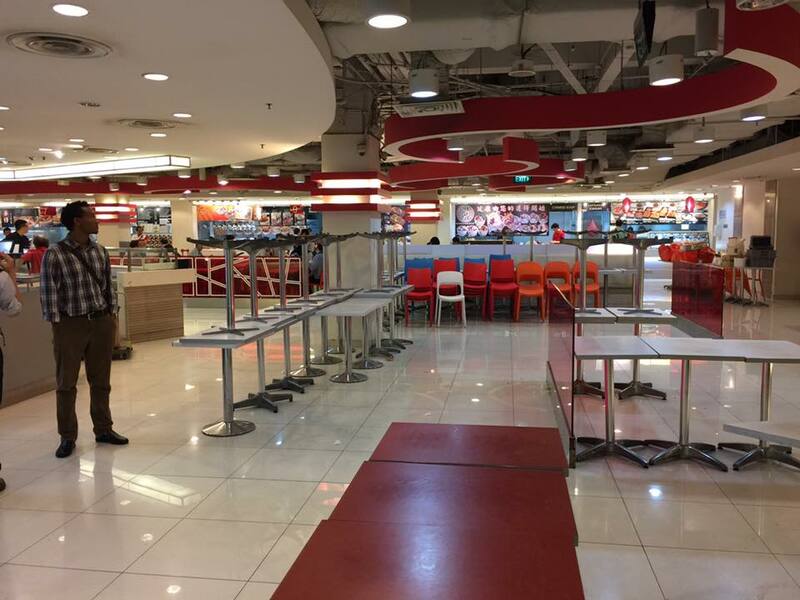 But Madam Tan says the business has been suffering losses for five years. The Fullerton Hotel has offered Madam Tan space to operate the business on its premises. 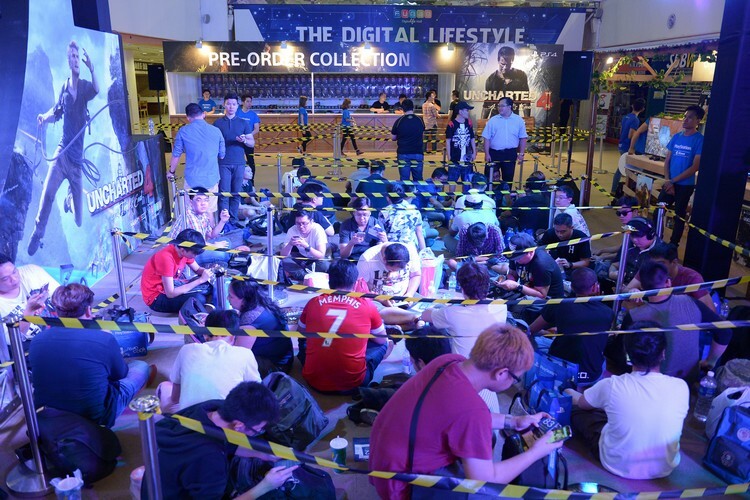 Fans queueing for the Monday night launch of Uncharted 4, the last ever game launch in Funan DigitaLife Mall. 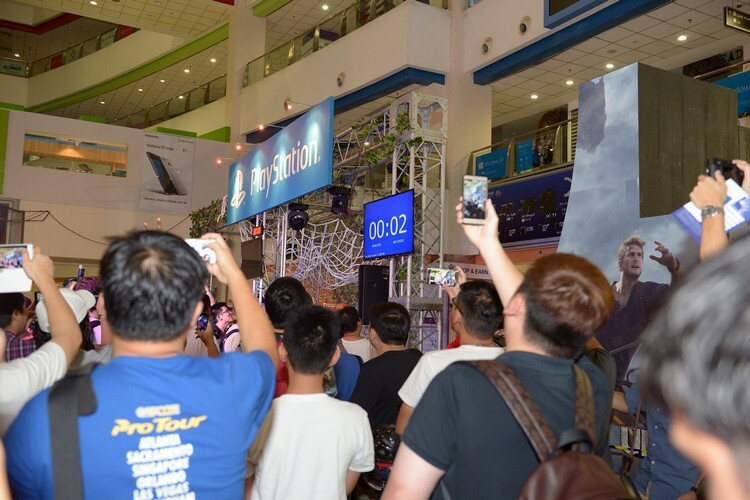 The event on Monday night, organised by game publisher Sony Computer Entertainment, marked the last game launch at Funan before the mall's shutters fall for the last time in July. 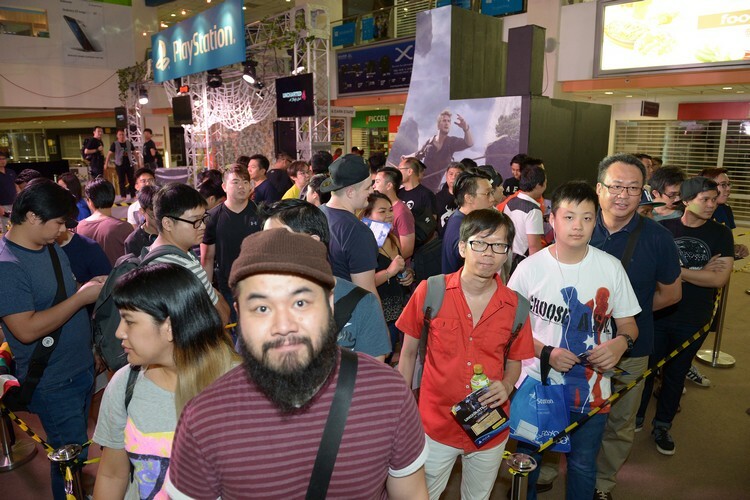 Freelance writer Darren Chew, 38, was the second in line for the midnight release of Uncharted 4: A Thief's End on Monday night. 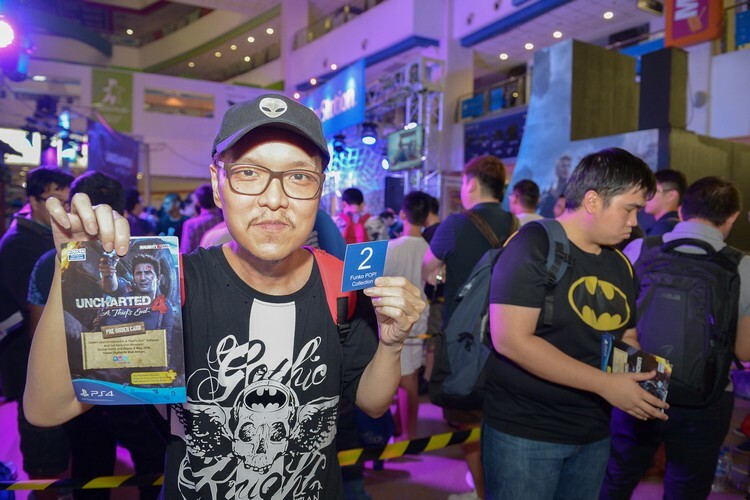 Technician Alex Tan, 42, was the first in line to get his hands on a copy of Uncharted 4: A Thief's End on Monday night. 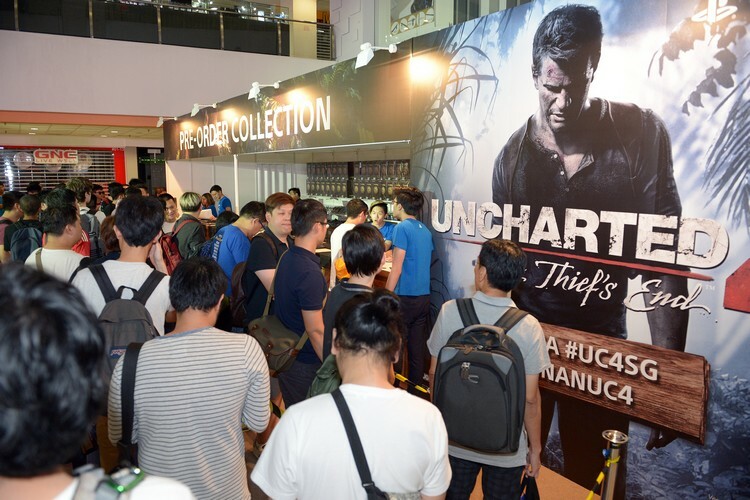 It was the final countdown for game fans at Funan, at the mall's last game launch on Monday night for Uncharted 4, before it closes in July. 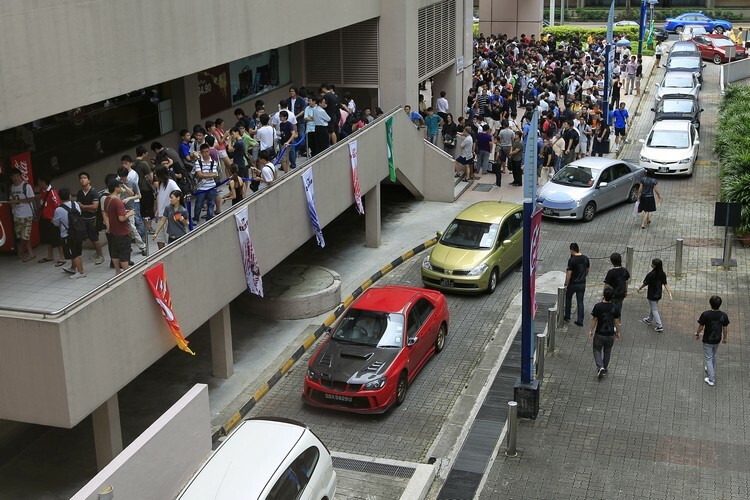 The queue for the midnight release of Uncharted 4: A Thief's End on Monday night. 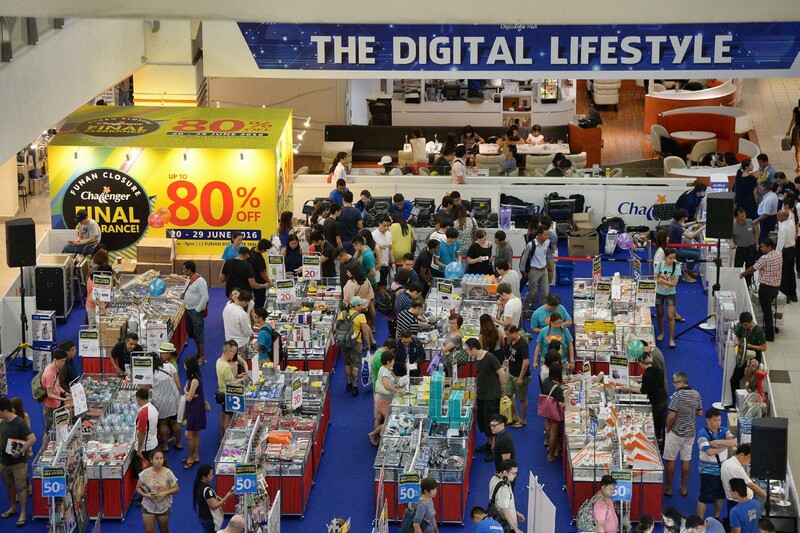 The 30-year-old Funan DigitaLife Mall will be revamped over the next three years. 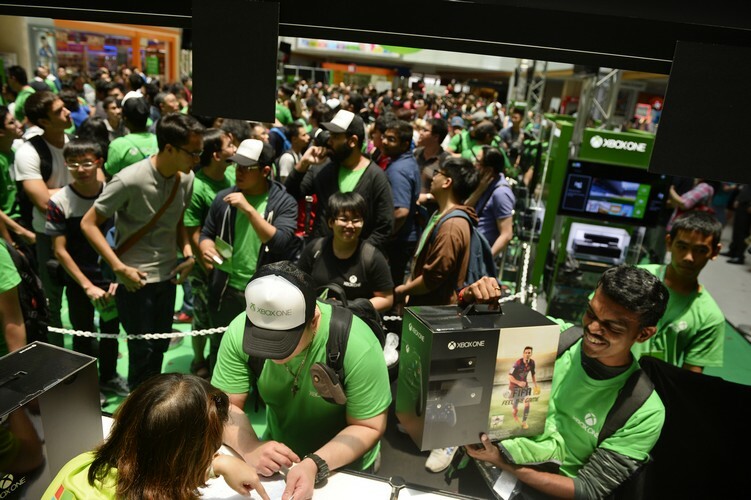 More than 800 fans queued up to get their hands on the latest console from Microsoft, the Xbox One, on Sept 23, 2014. 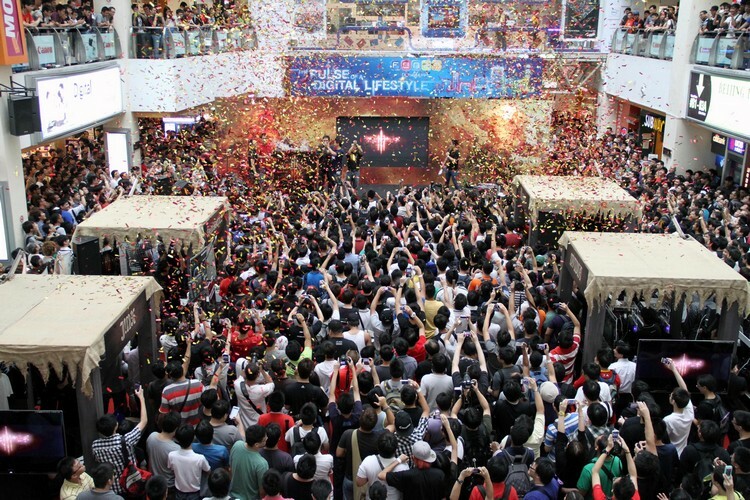 The crowd at Funan DigitaLife Mall during the launch of Diablo III on May 15, 2012. About 35,000 copies of the video game were sold, setting a new record for first-day video game sales. 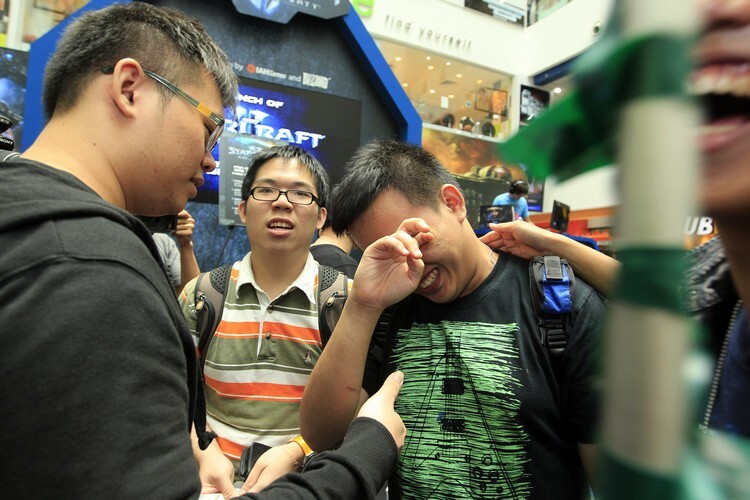 Nicol Tan (left, wiping his tears), then a 23-year-old student chef, could not contain his emotions after he was the first in line to get his hands on the long-awaited sequel to StarCraft. Fans of the 1998 video game and its Brood War expansion had waited 12 long years for the sequel. 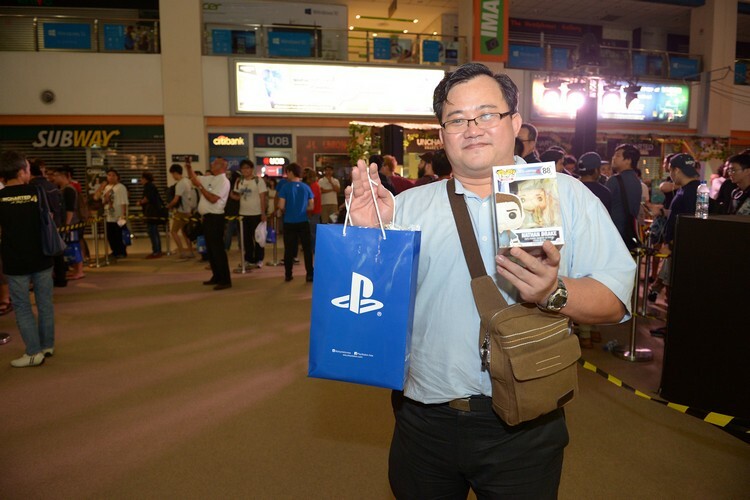 A caption in The Straits Times the day after the event said Nicol Tan, who was first in line to get a copy of StarCraft II, was so excited that he "alternated between crying and grinning". 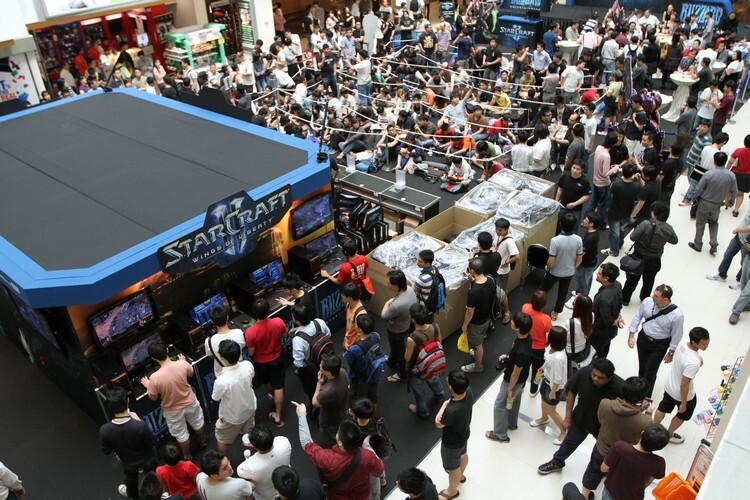 Thousands of fans descended on Funan DigitaLife Mall on July 27, 2010 to buy the long-awaited sequel to StarCraft. 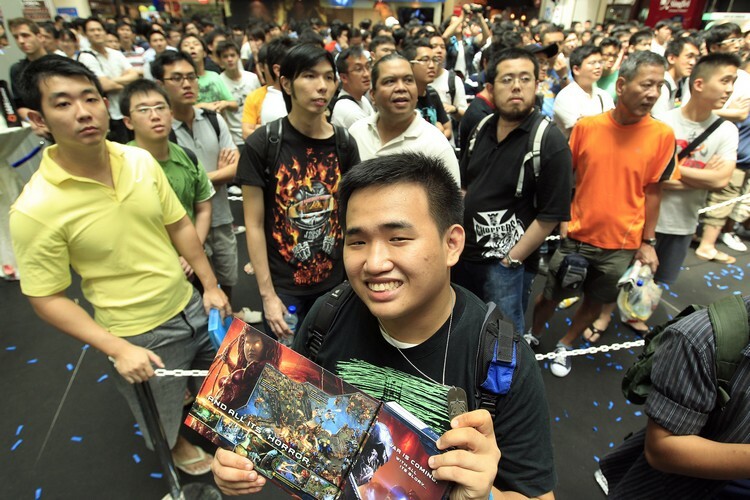 Fans at the launch of StarCraft II on July 27, 2010. 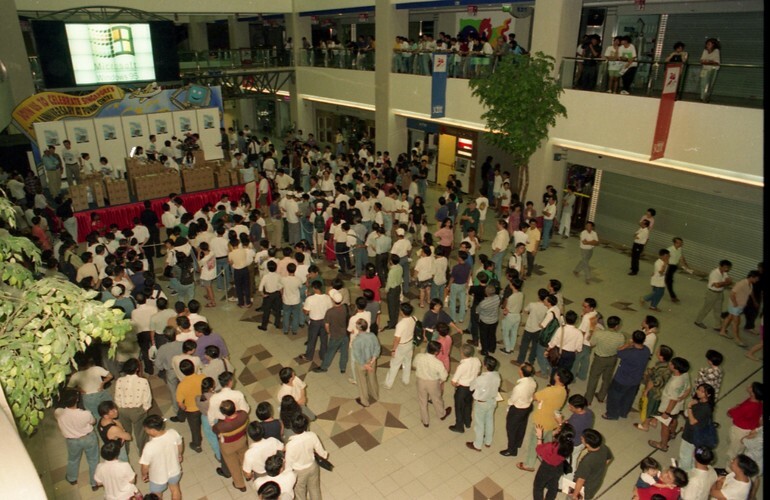 The midnight queue for Windows 95 at Funan Centre on Aug 24, 1995. It will also not be unusual to see cyclists zipping through the mall on their two-wheelers as they head to bike shops or refuel at cafes. Those who are heading to the office after a ride can freshen up at the shower areas. A 4,000 sq ft rooftop urban garden will tap the popular trend of urbanites growing their own food. There will also be two office towers and a residential tower. 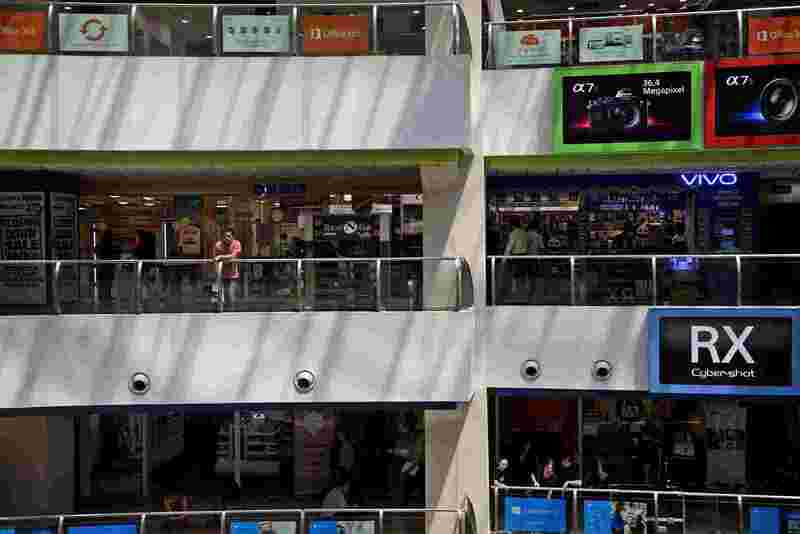 It is a massive $560-million makeover for the mall, which was previously dominated by stores selling IT products, with a hodge-podge of eateries and music stores and schools thrown in. Mr Frank Alvarez, 53, associate principal and global retail leader at Woods Bagot, who worked on Funan's design, says the features are a response to the new demands of today's shopper. The global architecture practice opened a Singapore office in October and previously worked on projects here with clients such as Google and Singtel. 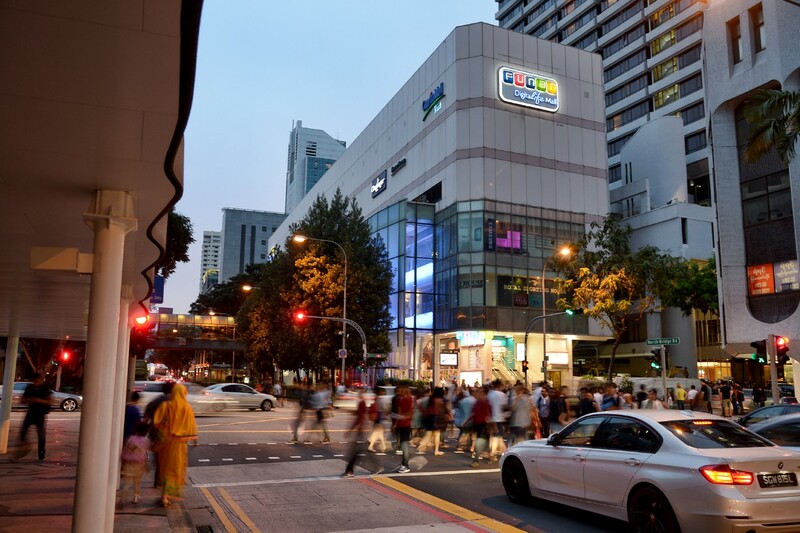 For Funan, the initial brief from the client was to renovate the ageing building, which opened in 1985 as Funan Centre. 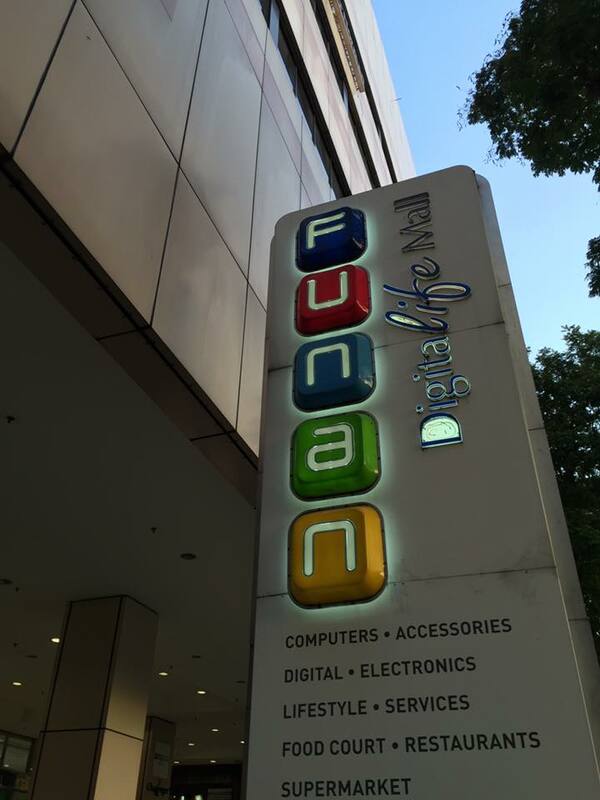 It was renamed Funan The IT Mall in 1997, and then Funan DigitaLife Mall in 2005. It had many highlights, including having the first air-conditioned foodcourt. IT retailer Challenger Technologies opened its first outlet there, a megastore that was also Challenger's flagship store, at 53,000 sq ft.
Mr Alvarez says that while the mall was a familiar place, there was " impetus for change" as its developer CapitaLand Mall Trust wanted something different. "Online shopping is a big challenger to physical shopping, and even with the latter, people are spoilt for choice. There's an attraction to certain stores, but not necessarily to a mall," adds Mr Alvarez, who has worked on large shopping complexes around the world since 1986. 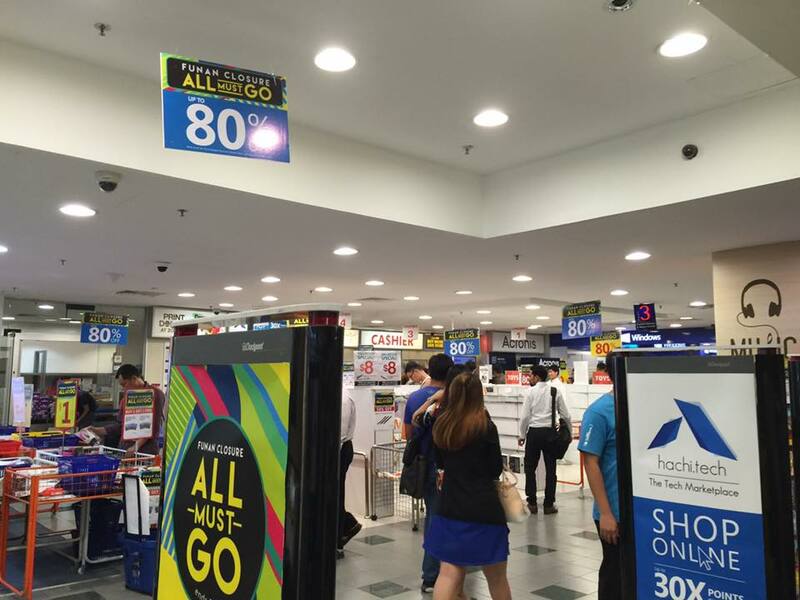 So, the new look will give the regular Funan shopper more, beyond just their digital needs. 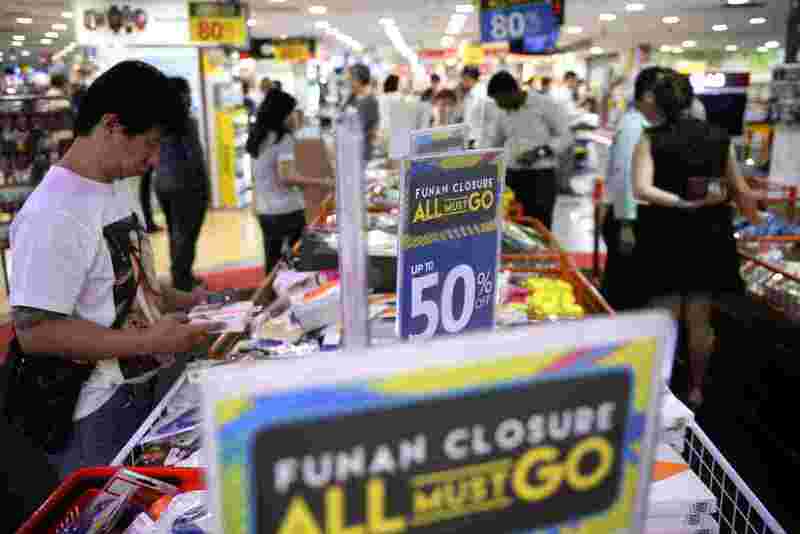 Mr Alvarez says: "They will still be familiar with Funan. We don't want to change the customers Funan had, but we want to tap into the rest of their life. 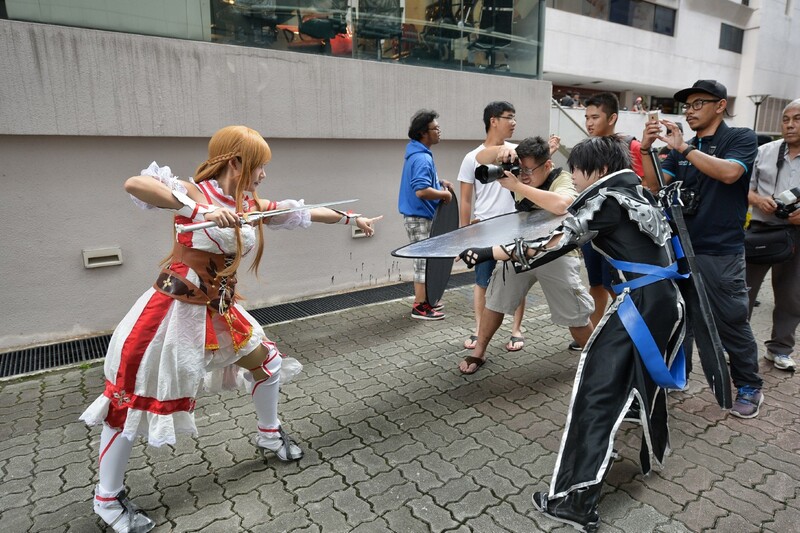 "We think that Funan mall can be reflective of personal life and have a little bit of everything."